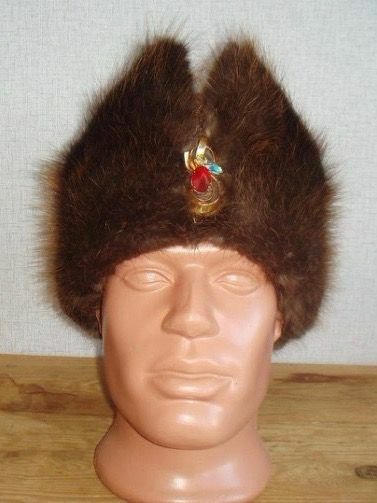 This beautiful men's headwear of the XVII-XVIII centuries is fulled. Top of hat is covered with silk velvet. Headwear is furred with beaversking and has linen lining.